TASHKENT, Uzbekistan — Canada's Felix Auger-Aliassime defeated Poland's Kamil Majchrzak 6-3, 6-2 on Saturday to win the Tashkent Challenger. 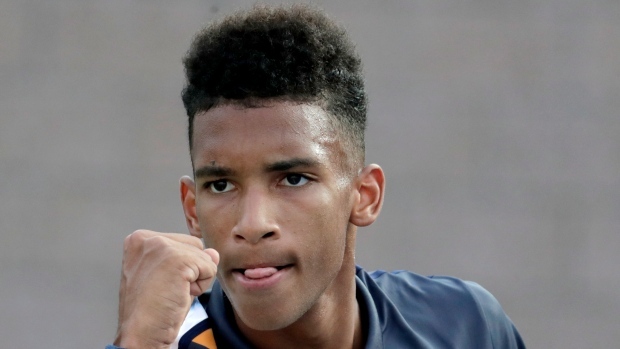 Auger-Aliassime needed 67 minutes to complete the victory for his second Challenger title of the season. The 18-year-old from Montreal earned US$10,800 of the $75,000 purse. Auger-Aliassime, the world No. 128, won three qualifying matches to reach the tournament's main draw before reeling off five straight wins. Majchrzak, 22, holds the No. 178 position in the world rankings.